Tracey Elementary School Principal Theresa Rangel speaks to the Norwalk Board of Education Curriculum Committee in December. Character.org, a national advocate and leader for character education, has named Tracey Elementary School as a 2019 Connecticut School of Character, a Norwalk Public Schools press release said Monday. 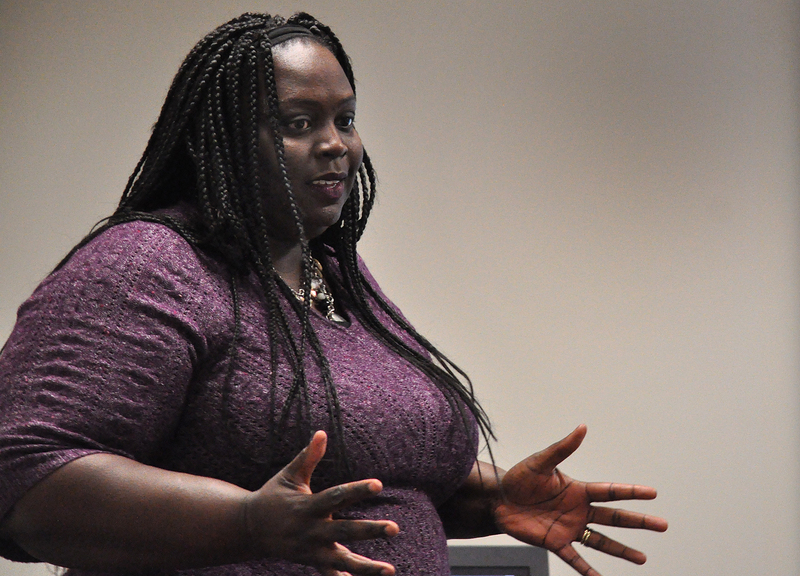 “The program recognized Tracey as a school that has demonstrated its use of character development to drive a positive impact on academics, student behavior and Tracey’s school climate,” the release said. The school’s Character Education program incorporates core values into academic instruction, the Board of Education Curriculum Committee said in December, and a Tracey teacher was selected as Norwalk’s Teacher of the Year in August. “Tracey Elementary integrates character education into all aspects of the school environment. Each day, the more than 400 K-5 students at Tracey are challenged to leave their ‘P.R.I.N.T’ on the world by living the core values embedded in the Tracey pledge: Problem solving, Respect, Integrity, being Neighborly and Taking Responsibility. The school’s character education program has significantly enhanced the climate of the school and supported academic growth and achievement. “The rigorous Schools of Character application process is an opportunity for schools and districts to receive thoughtful feedback for growth and excellence in the area of character development through Character.org’s 11 Principles of Character framework. It is also a method of recognizing exemplary schools and districts in the nation. “Since its inception, Character.org has recognized more than 565 schools with the distinction of State School of Character. Criteria for the designation are based on Character.org’s 11 Principles of Effective Character Education, which includes providing students with opportunities for moral action, fostering shared leadership and engaging families and communities as partners in character-building efforts. “A group of NPS high school students are on their way to earning the Connecticut State Seal of Biliteracy, an award which recognizes those who have studied and demonstrated proficiency in two or more languages by high school graduation,” a Jan. 25 NPS press release said. The Brien McMahon and Norwalk High School seniors have successfully completed the Assessment of Performance toward Proficiency in Languages or the Latin Interpretive Reading Assessment to demonstrate their use of another language other than English, the release said. “Rather than show their knowledge of the language, to attain the Seal of Biliteracy, students must show proficiency in the 4 skills of speaking, listening, reading, and writing found in the ACTFL (American Council on the Teaching of Foreign Languages) guidelines. “Both native and non-native speakers of English must provide comparable evidence of English language proficiency. English Language Learners now have the opportunity to be recognized for their academic linguistic skills in both their primary language and English as their secondary language. Students who intend to take an AP or IB language exam will also be eligible to earn the Seal after completing all English language arts graduation requirements. “The Norwalk Early College Academy (NECA) will become its own NPS high school effective July 1, 2019. A P-Tech model leader in the state, NECA was granted separate school status approval by The State Department of Education in mid-January. NECA is currently housed in Norwalk High School and will remain in this location,” a Jan. 24 press release said. “The shift will affect how SAT scores, school performance indexes, graduation rates and class rankings are reported. 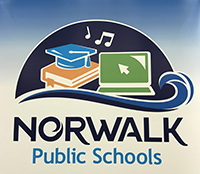 Data will now be broken out separately from the overall Norwalk High School student population. Financially, the separate school status allows the district to apply for federal grants. “This year, due to high demand, NECA held its first ever lottery with over 140 applications having been submitted. There will be a waitlist for those who are not initially accepted. “NECA currently provides 400 Norwalk students with the opportunity to earn an associate’s degree while taking college courses during high school. A partnership with IBM gives NECA students access to mentorships, worksite visits, paid internships and first-in-line consideration for available jobs at IBM. Last May, 12 NECA students finished college without debt and with the skills to compete in well-paying technology fields or to continue their education. One of these graduates now holds a sought-after position at IBM. Congratulations to Tracey Elementary School and Norwalk Public Schools on this great honor of being named the 2019 Connecticut School of Character. Theresa Rangel is a great leader!